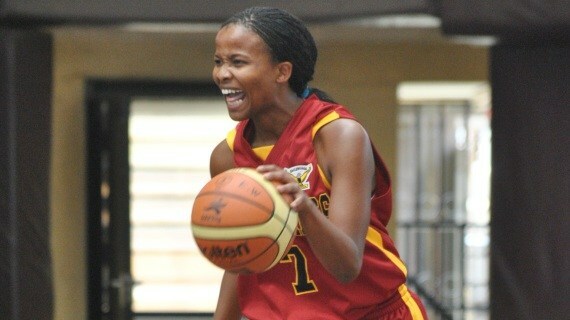 A single point denied Equity Hawks a possible 2-0 lead against defending champions USIU Flames during the second match of the Kenya Basketball Federation second semi finals playoffs at the Nyayo stadium on Sunday. Having beaten the same side in the opening match of the best of Five , Equity Hawks needed two more straight wins to book a date for the finals against KPA. Equity had secured a 64-57 win on Saturday during game one that saw them stage a massive come back as they were trailing 29-38 by halftime. Their possible quick head start was cut off in the second match as the students bounced back with a slim 46-45 win on Sunday. On Sunday Sarah Chan was the Star of the day for the Flames as she engineered her team's recovery with 14 points. Despite a very slow start in the opening quarter where they lost 20-09, USIU registered 09-15,08-15 and 08-07 points to sneak away with a slim win as the two teams tied at 1-1 after the opening two matches of the best of five. WALK OVER NAKURU CLUB WHO FAILED TO SHOW UP.